In order to make the process of traveling to camp as seamless as possible, we are implementing a new system this year with regards to air travel. If your child will be traveling to camp on an airplane then this applies to your child. Please continue reading through carefully. We are having all campers flying domestic travel on Southwest Airlines (no baggage fee for up to 2 bags plus carry-on) and arrive at Midway airport. We have assigned flights from each location we have campers traveling from (and plan to add more as new locations arise). Please find your individual location to see what flight your child should be traveling on in order to use our transportation from the airport to camp. *Bus is tentatively scheduled to depart Midway around 2:15pm. *If you are traveling from Memphis, TN, the Southwest flight does not arrive within this time frame. We have a variety of options available – please contact our office to discuss which option is best for you. We would like to try and find a chaperone for each flight when multiple families are flying in from a city. If you would like to be a chaperone please let us know ASAP. For campers ages 12 and older: Parents are able to book a flight for them as they would any other time through the Southwest website. They are considered young adult flyers. For campers age 11 and younger: We encourage you to book your camper’s flights sooner rather than later. Before you book, check in if we have a chaperone arranged yet (moshava@moshavawildrose.org). If we do not, then for a child age 11 and younger you should book your child as an unaccompanied minor. In this case, a $50 fee per child per way is added by Southwest as a fee. The flight cannot be booked online and you will need to book it over the phone at 1-800-I-FLY-SWA (1-800-435-9792). You will need to list the person’s information of who is dropping off the child, as well as the names of two people who will be picking the child up at Midway. For the time being you can use Dikla Weitzner and Jennifer Koplow until we have more information. As soon as you have booked a flight, please send us a copy of the reservation. This will make sure we have the info on our end and help us make you aware down the road of who else from camp might be on your flight. Your child’s flight should be scheduled to depart from MIDWAY (MDW) on the last day of their camp session. First session campers should have flights booked for July 23rd between 4:00 PM and 6:00 PM. Second session campers should have flights booked for August 15th between 4:00 PM and 6:00 PM. If you do not want your child on a layover, we have a direct option available on AA that goes from ORD to MIA. Please reach out to our office for details. If you would like to be a chaperone for our Israel flights please let us know ASAP. Campers coming from abroad need to arrive in Chicago (O’hare Airport-ORD) on June 27th (first session) or July 24th (second session) where the camp will provide Bus transportation up to camp. We would like to offer a chaperone for the flights when multiple children are flying in from a city. In order to do this, we encourage as many of our campers to travel together.  For those flying from Israel, please call this travel agent to help make your flight arrangements and ensure your camper will be part of the Moshava Wild Rose group for travel to and from camp. For those flying from Canada, we have a variety of options available – please contact our office to discuss which option is best for you. Your child’s flight should be scheduled to depart from O’hare (ORD) on the last day of their camp session. First session campers should have flights booked for July 23rd after 4:00 PM. Second session campers should have flights booked for August 15th after 4:00 PM.